Monthly chart: As you can see, the bulls are gaining speed and ADX on their side. 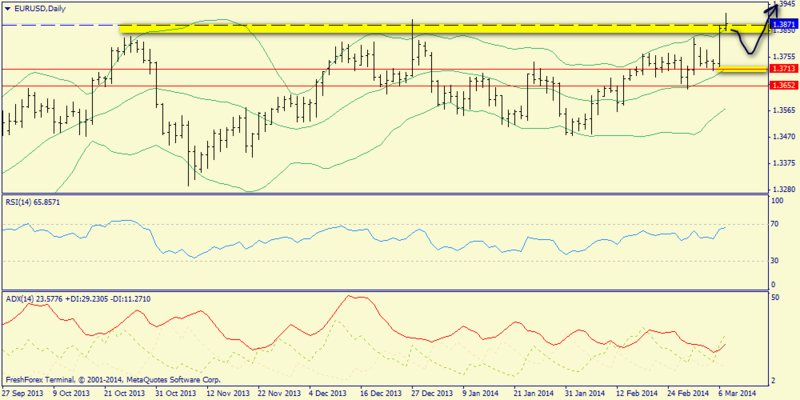 The last frontier before jerk to 1.50 is the upper Bollinger band (1.4034). 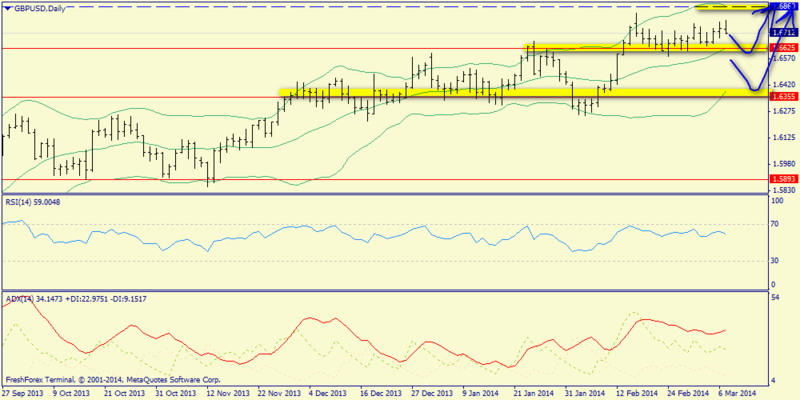 Weekly chart: Buyers have a strong advantage. 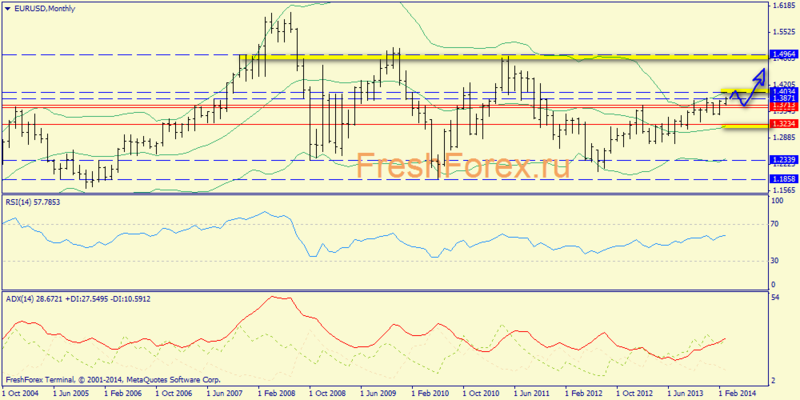 1.3871 resistance level will be broken and the road is open to 1.4034. In theory, there is one more rollback to the average (1.3713), where purchases are very attractive. Day chart: We can see, that the rollback is really possible. Catch signals to shopping in the 1.3713 area. 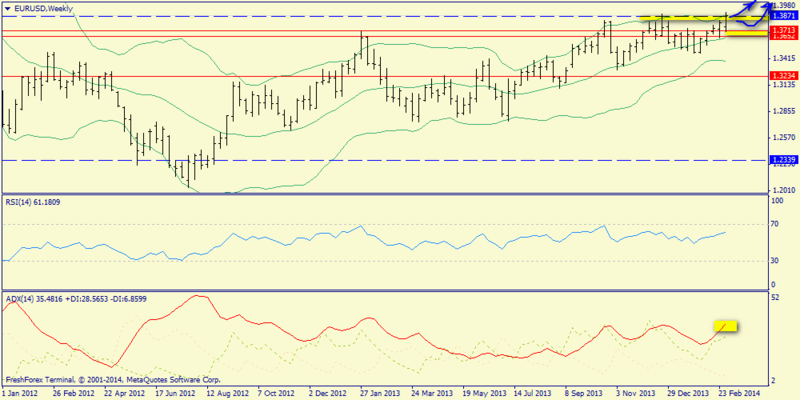 Conclusion: main plan is a rollback to 1.3713 and a sharp rise to 1.40, with medium-term prospects of going to 1.50. Another option is the same plan without correction down. So, the selling is very dangerous, despite the significance of a possible correction. 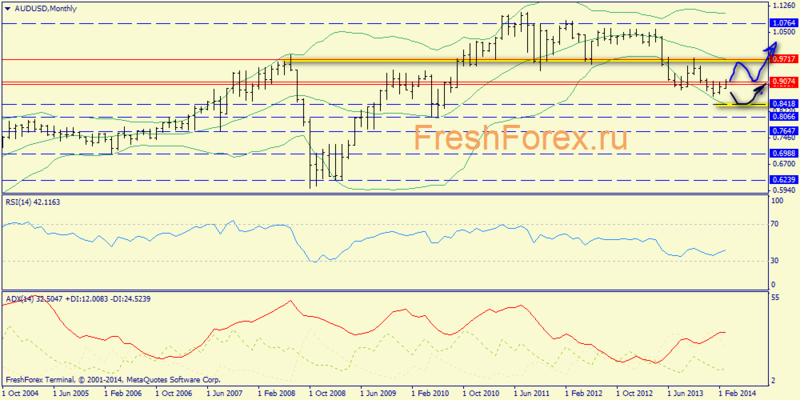 Monthly chart: very strong bullish trend pressure and willingness of ADX. 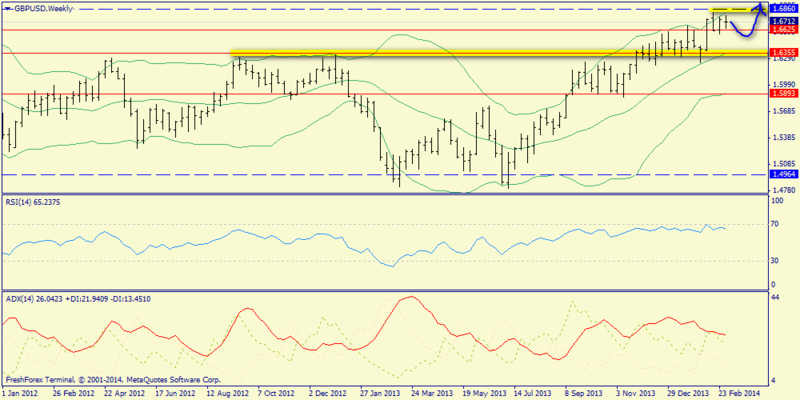 Thus, buyers need to punch 1.6860, then 1.7050, and the pair could soar to 1.91. 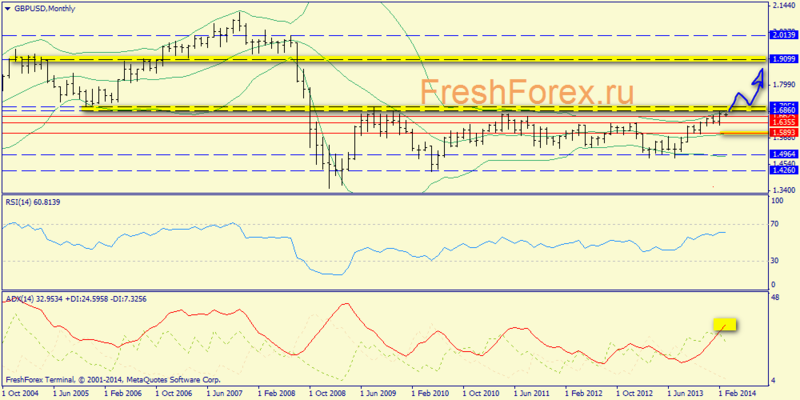 Weekly chart: here the uptrend doesn’t have support, so there can be rollback to 1.6355 . Day chart: So, we see compression of Bollinger envelopes and find signals for buying on average (1.6625) or lower (1.6355). Conclusion: main plan is the rollback to the area 1.6625 and the beginning of sharp rise to 1.6860 and 1.7051. Another option is the same plan, but with deeper correction. Monthly chart: this pair demonstrates the beginning of a possible reversal up following the senior majors. 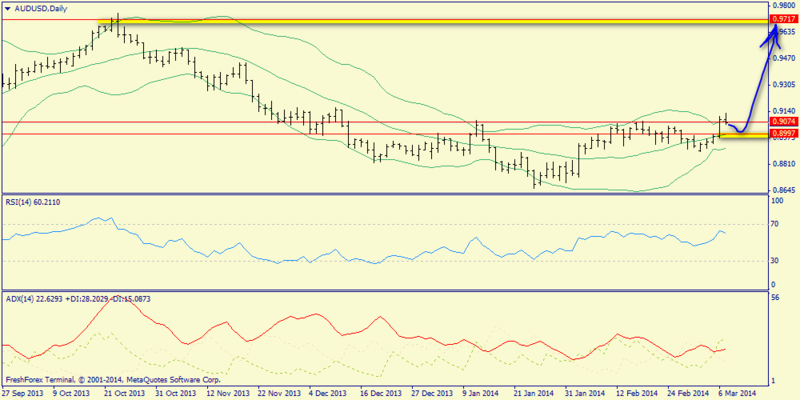 Key resistance levels for fixing reversal - 0.9074 and 0.9717. We note an important signal - inside bar. Therefore, the option with a blue arrow appears to the main and dominant. 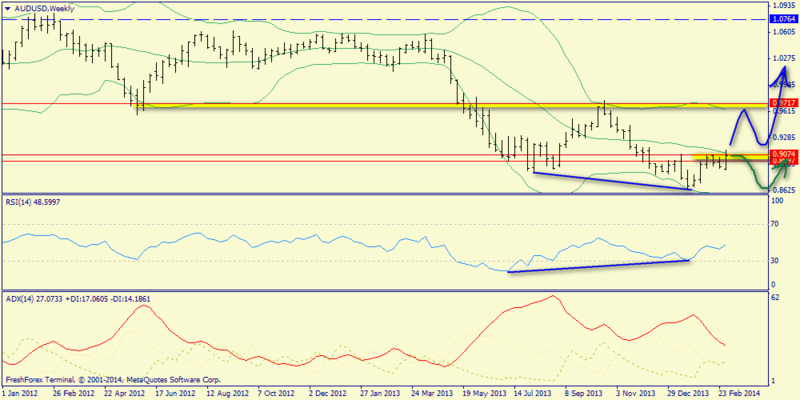 Weekly chart: We can see the continued development of strong convergence, which also is a bullish signal. Day chart: the upper envelope is broken, so wait a pair in the middle lane (0.8997-0.9000) and monitor the possible formation of a buy-signal.